YA Week is sponsored by The Darkest Minds—now playing. While 2018 has already been a wildly entertaining year for YA fans, the best may be yet to come. From big series conclusions by Sarah J. Maas and Cassandra Clare to irresistible twists on classics like Frankenstein and Pride and Prejudice, these bold books have something enticing for every type of reader. Check out the most anticipated YA books in all your favorite genres below. Don't forget to add what catches your eye to your Want to Read shelf! Yumeko is more than a peasant girl. 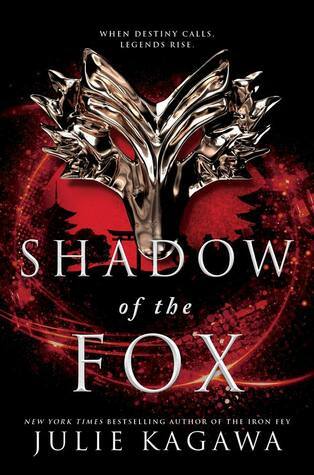 A kitsune shapeshifter, half human and half fox, she escapes demons and defies a samurai to find the Scroll of a Thousand Prayers, an ancient artifact with the power to summon a dragon and grant any wish. Once there were three sisters, equal heirs to the crown, struggling to control their magic and destiny. 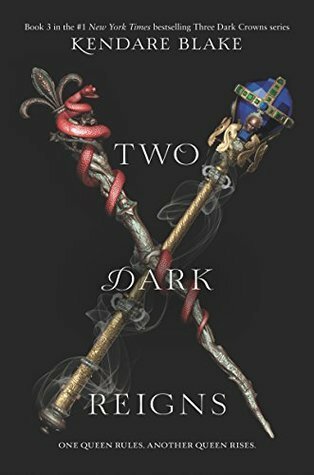 Now Mirabella and Arisonoe hide in the shadows while Katharine sits on the throne in this epic installment in the Three Dark Crowns series. She has been a slave, a king's assassin, and a queen. As Aelin Galathynius' heroic journey comes to an end, she finds herself a captive of the Fae, helpless as war erupts across her world in this seventh and final book in the Throne of Glass series. The demon king of Ikhara entertains himself with his Paper Girls, consorts chosen from the lowest and most oppressed caste. The young women are trained to be charming, timid, and obedient. But what happens when two of them fall in love? In this dazzling sequel to Strange the Dreamer, Lazlo and Sarai grapple with their new identities as god and ghost. As forgotten doors are opened and new worlds are revealed, they both question what makes anyone a hero—or a monster. The Shadowhunters have become the hunted. To end a deadly curse and stop a civil war, Julian and Emma put aside their forbidden love to retrieve the Black Volume of the Dead in this thrilling final novel in The Dark Artifices trilogy. Elizabeth has nothing; Victor Frankenstein has everything—except a friend. In 18th century Geneva, an inseparable bond forms, but as the years pass, Victor's dangerous temper and depraved dreams threaten to sink both their lives into darkness. 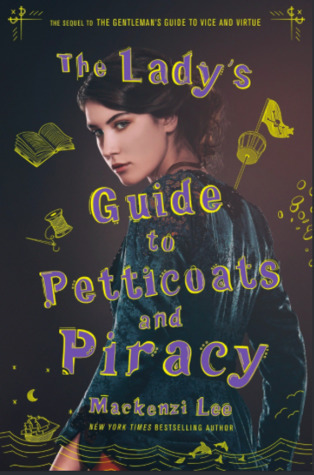 Weary of lovestruck suitors and the patriarchy, Felicity escapes the confines of stuffy English society via pirate ship. Her impulsive decision leads her on a perilous quest from the German countryside to secrets lurking beneath the Atlantic. Five generations of a single African and American family pursue an elusive dream of freedom, from 18-year-old Liberian Togar, who's on the run from government militia, to the Wright siblings as they flee a Virginia plantation in 1827. 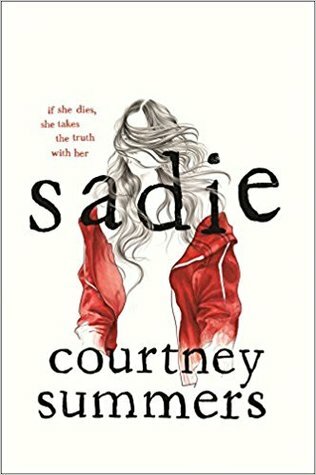 Sadie's sister is dead. Determined to bring the killer to justice, she leaves her life behind. As she follows the meager clues, radio personality West McCray is on her trail, eager to turn her quest for revenge into a hit true-crime podcast. After her father is framed for murder, Ky returns to her hometown, hoping for sanctuary. Instead, she finds herself at the center of a scandal. With a rookie FBI agent as her only ally, she sets out to expose the town's hidden skeletons. On the neon-lit streets of a near-future Tokyo, hacker Emika Chen teams up with the Phoenix Riders to stop the nefarious plans of elusive young billionaire Hideo Tanaka, the man she thought she loved, in this stunning sequel to Warcross. After an unsuccessful alien invasion, a fragile peace exists between humans and the conquered Luxen race. None of it concerns Evie until she meets the otherworldly Luc in this book set in the world of Armentrout's Lux series. 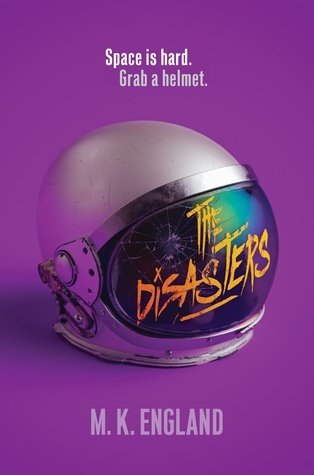 Nax and his fellow space academy rejects are the sole witnesses to the biggest crime in the history of space colonization—and the perfect scapegoats. On the run, the misfits just need to stay alive long enough to tell their story. Darius speaks more Klingon than Farsi, and he knows more Hobbit social cues than Persian ones. On a trip to Iran, he shocks himself by making his first true friend. Sohrab is the boy next door, and he makes Darius dread returning to America. 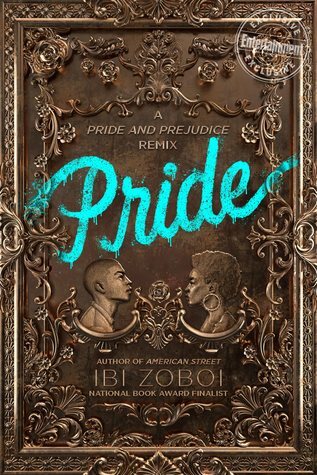 The Bennets get a Brooklyn update in this vibrant retelling of Pride and Prejudice. Here it's Zuri Benitez, proud of her Afro-Latino roots, resisting the uptight charms of the wealthy Darcy in her rapidly gentrifying neighborhood. The universe threw them together, and now the universe is keeping them apart. Holding on to the optimism Broadway has taught him, Arthur keeps trying to make things work with Ben. But what if life really isn’t like a musical? And what if it is? Shirin is tired of being a stereotype. It is a year after 9/11, and the rude comments—about her race, her religion, the hijab she wears—will not stop. She withdraws inward until a strange boy named Ocean James insists on getting to know the real her. Which YA book are you most excited to get your hands on? Tell us why in the comments! Sadie is at the top of my list, followed by Wildcard. The darkest star!!! That woman knows how to write a book that takes you away...WAY away! DYING for Queen of Air and Darkness. Is it December yet?! 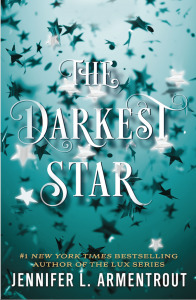 So excited to read Darkest Star. I've missed the Lux Series. I'm excited to read ab Luc's HEA..... October can't come quick enough. "A Touch of Gold" by Anne Sullivan! The Darkest Star, The Queen of Air and Darkness, and Wildcard. All three of my favorite authors. I really miss the Lux series. So happy it's returning. Nitya wrote: "Pride & What If It’s Us! I adore retellings and musical references :)"
both of those sounded good to me too! 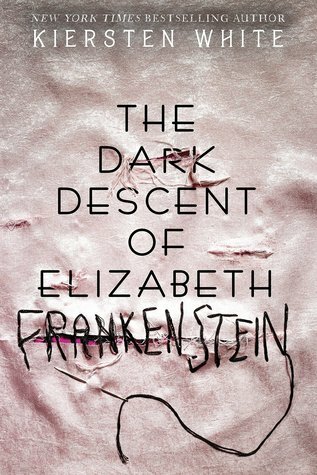 Looking forward to Girls of Paper and Fire, The Dark Descent of Elizabeth Frankenstein, and Darius the Great Is Not Okay! I don't enjoy YA at all. 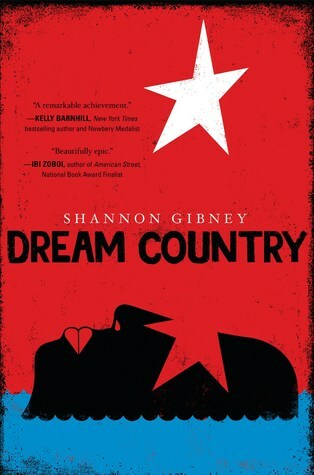 When are we going to have a historical fiction week on Goodreads? So far this year not a single post has been dedicated to that genre. 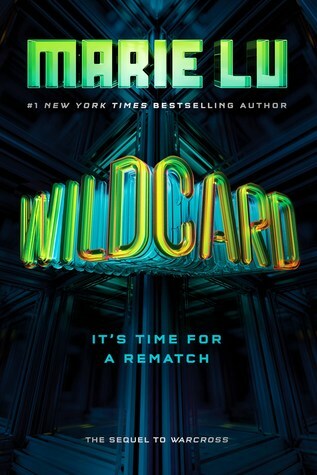 Can’t wait to read Wildcard! I’m so excited for Wildcard! Iset wrote: "I don't enjoy YA at all. When are we going to have a historical fiction week on Goodreads? So far this year not a single post has been dedicated to that genre." Thank you, Iset. Yes, a historical fiction week would be great. 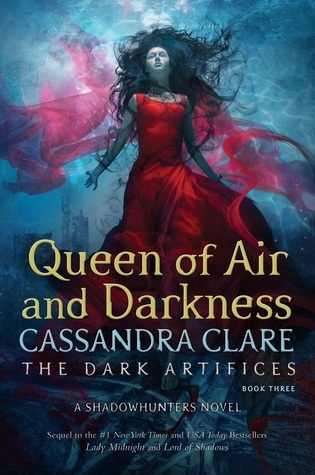 Cannot wait for Queen of Air and Darkness! It's gonna end the year with a BANG! 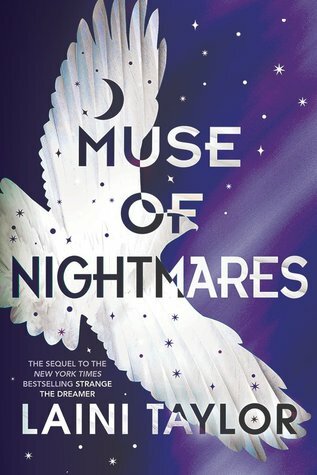 Muse of Nightmares strange the dreamer was amazing and can’t wait to read the sequel! Sadie was amazing and several others on this list sound so good. Thanks for sharing! WILDCRAD WILL FOREVER BE MY LOVE!! 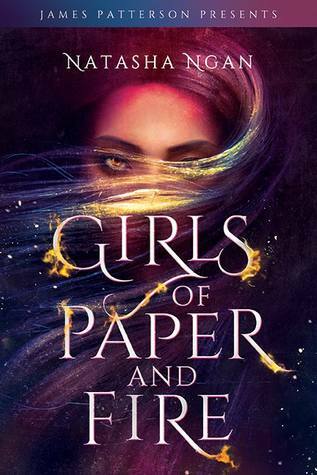 I'm reading an ARC of Girls of Paper and Fire right now and it's sooooooo good so far! I honestly think it's much better than the blurb makes it sound. The protagonist is not white and not straight, something that is not made obvious at all by the book's description. The author grew up in Malaysia and the UK, and the fantasy world she's created has a lot of Asian cultural and mythological influences. Yay for diverse YA fantasy!!!! Am all for female protagonists and we have waited long enough for some great ones, but hardly any of these books feature a positive male role model or a male protagonist - where are our strong male leads for our reluctant male readers? As an English teacher and a mum of 2 boys, I find this frustrating! Go girl but please don’t forget the boys!!! Cannot wait for queen of air and darkness, wildcard and kingdom of Ash. I'm dying out here. Someone please bring release date closer. I need Kingdom of ash and queen of air and darkness. I'm lost inside without them. Violet Blood ( The Cure Academy ) By Sophia Stafford. I loved the Seraphim series!!!!! Gemma wrote: "Am all for female protagonists and we have waited long enough for some great ones, but hardly any of these books feature a positive male role model or a male protagonist - where are our strong male..."
I mean, in the grand scheme of things, women and girls are far from caught up to men and boys in the world of books and publishing. It does seem like this specific list tends toward mostly girl main characters, but there are other lists out there that would lean the other way. Source: I'm a librarian. Trust me, there are a ton of great books out there with guy main characters! New ones everyday! As a side note... it's MORE THAN OK for your boys to have female role models and read books about women and girls. Girls have been reading books about boys and identifying with male main characters for generations, but for some reason our society often tells boys that they don't need to do that or even can't do that when it comes to reading books with female main characters. It's definitely frustrating sometimes! I feel like it must be so hard to raise boys today during what seems like such a powerful resurgence in emphasizing strict gender roles! 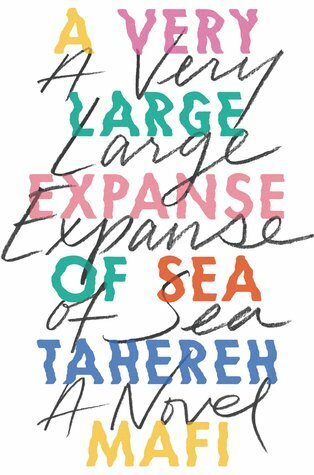 A very large expanse of sea. I can’t wait. Wildcard!!! YES!! 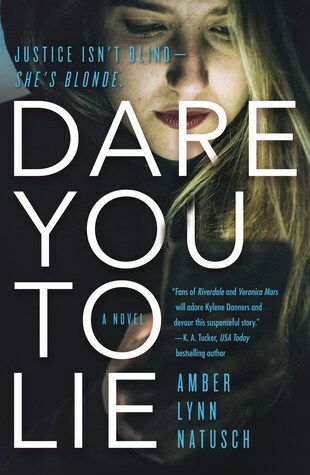 After that I would say Dare You To Lie. 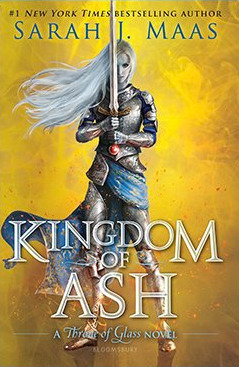 I can't wait to read Kindom of Ash!! I've been waiting forever! I've read the other books in the series so many times I think I know what will happen. Also I'm waiting for the second Renegades book to come out! Why isn't it on this list?! EEEEEEEEEEEEEEEEK YAYAYAYAYAY. I'm soooo psyched! 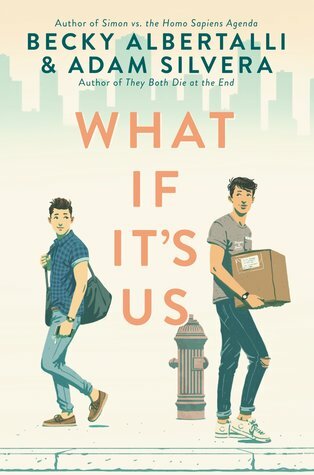 Darius sounds good and there is another Adam Silvera's book coming out. Oh. My. God. 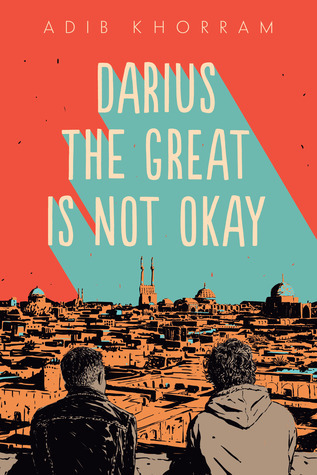 Sadie and Darius the Great is not Okay and A Very Large Expanse of Sea! OMG so many great books this year I'm dying. Two Dark Reigns, hands down!